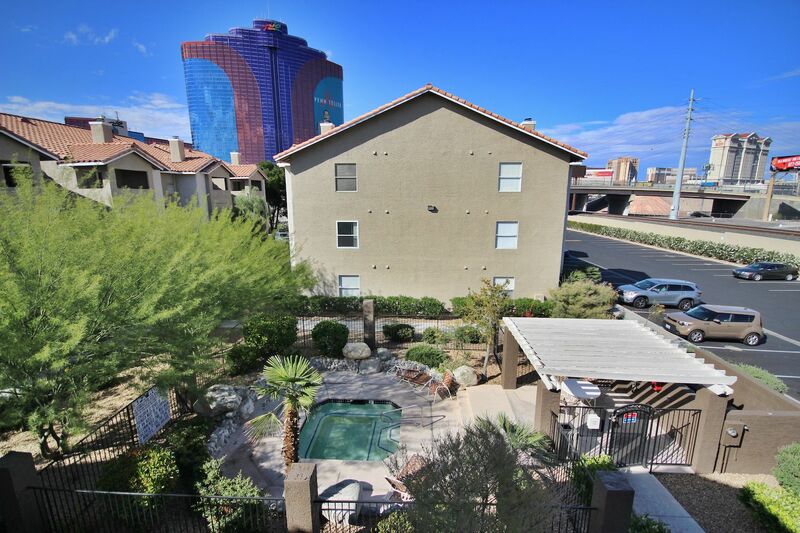 The Main Strip Resorts and Casinos pinpoint this beautiful fully furnished 2-bed/2-bath short-term rental in Las Vegas. 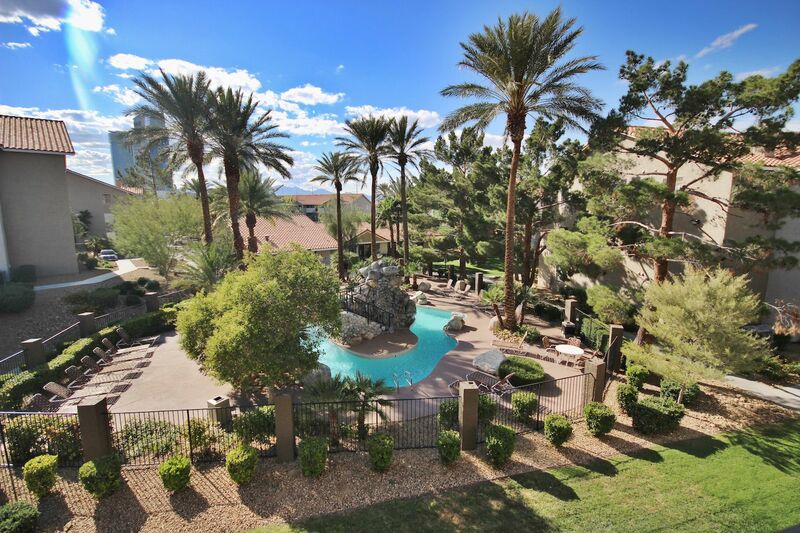 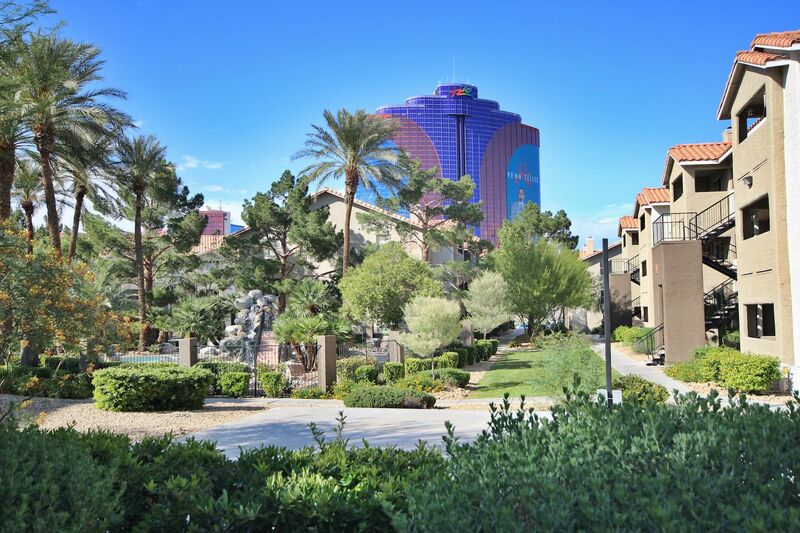 Located in The Flamingo Palms community, this complex is just a block away from The Palms Resort and Casino. 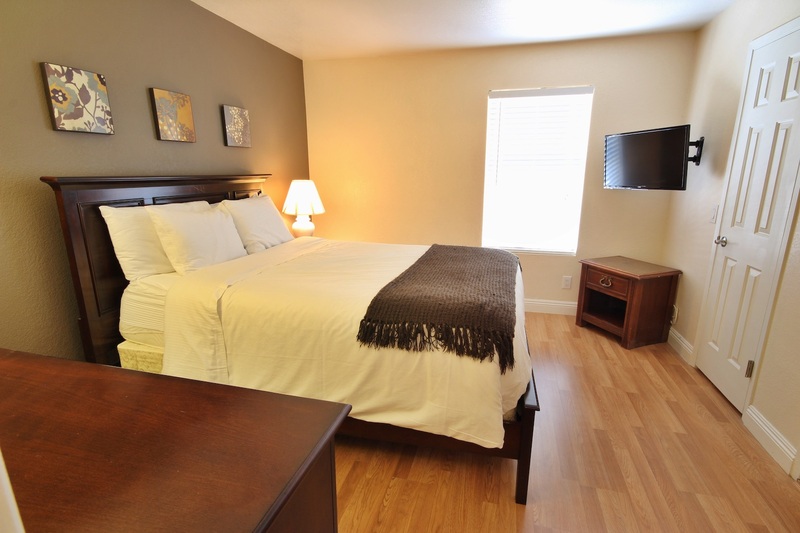 With close access to the I-15, maneuvering around the city is a breeze. 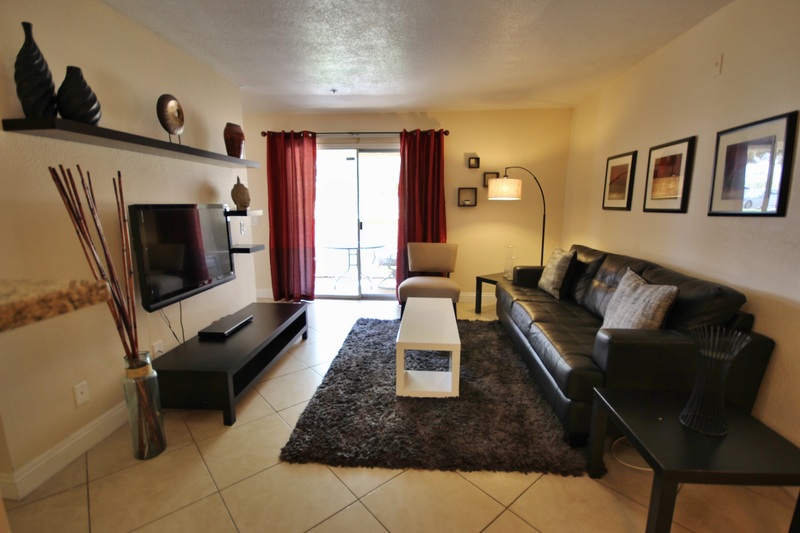 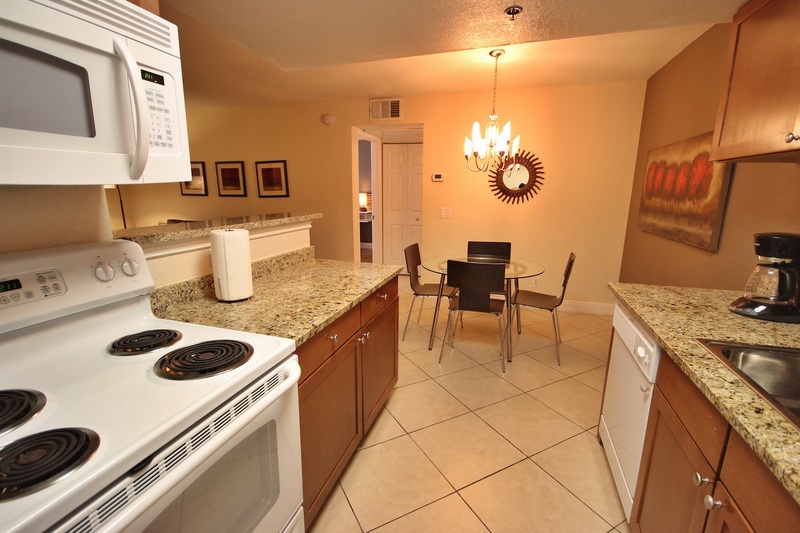 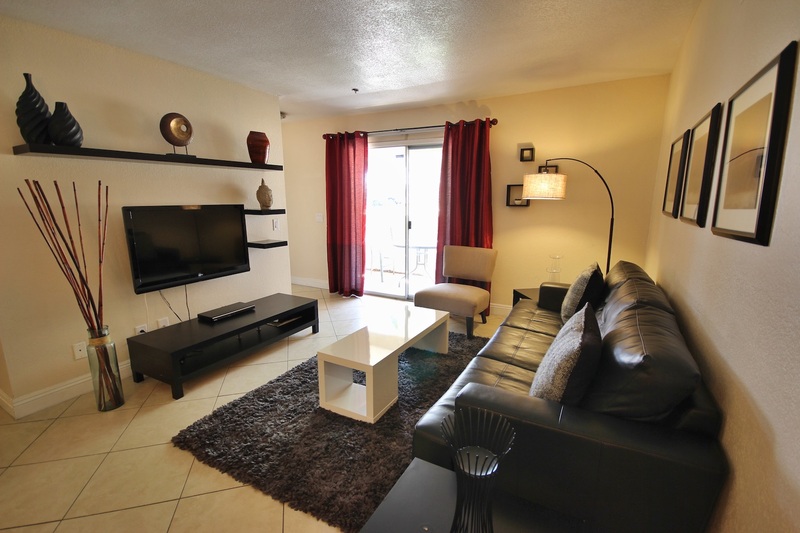 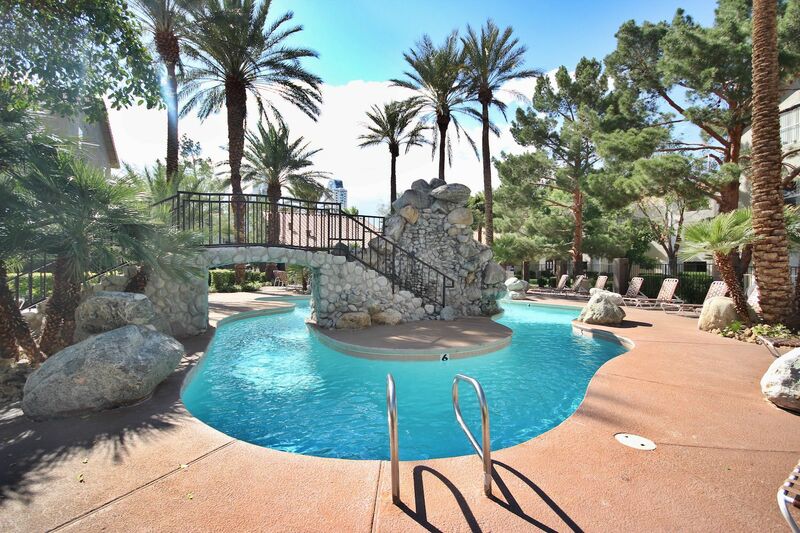 The Flamingo Palms community offers our residents free open parking, 2 pools, and a Jacuzzi. 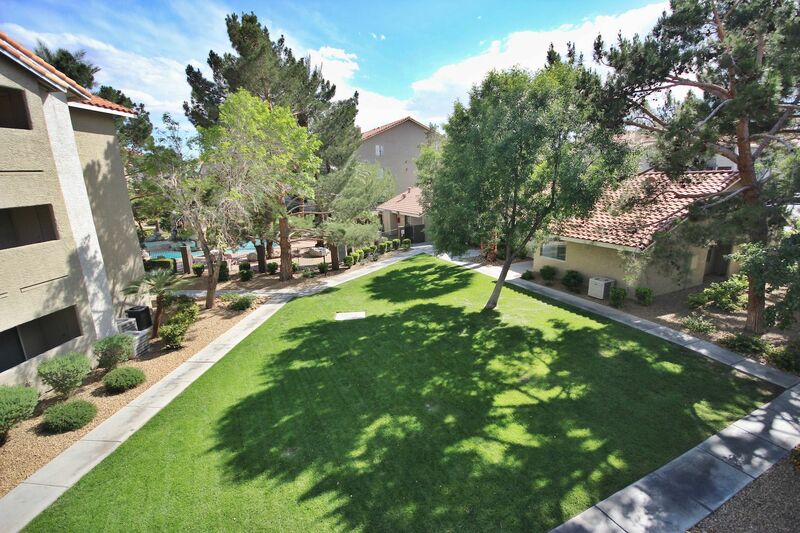 All within a 24 hour gated entry. 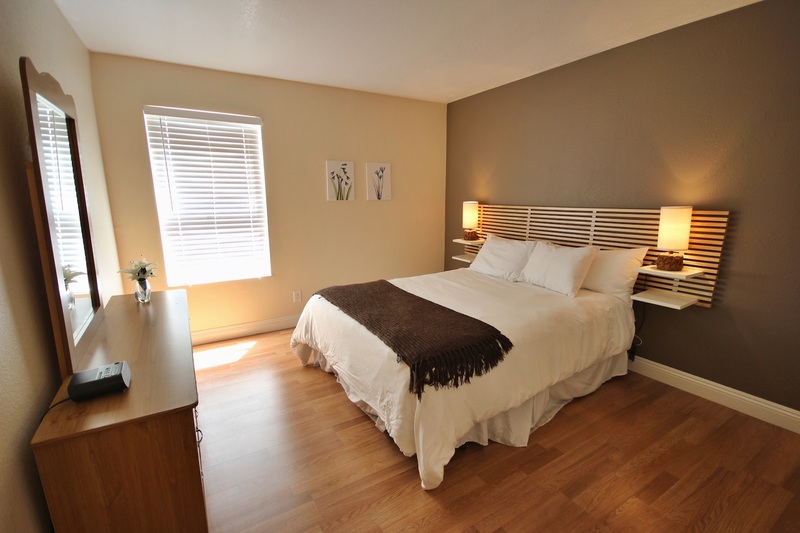 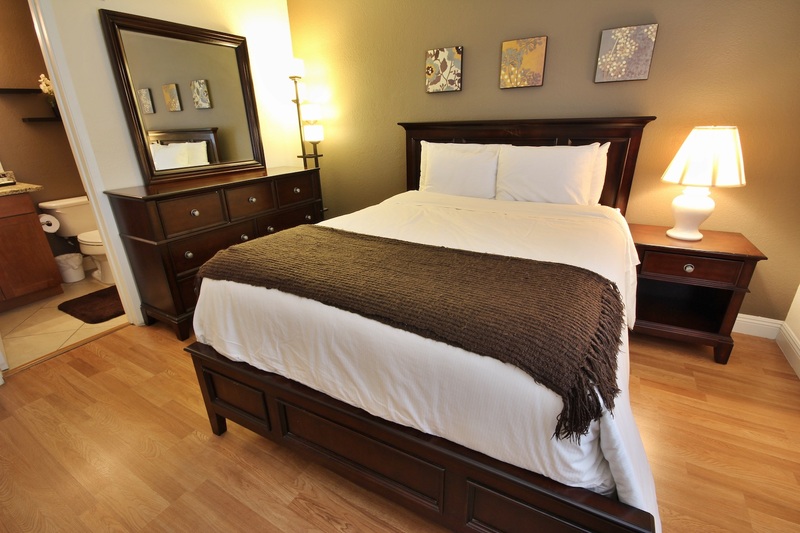 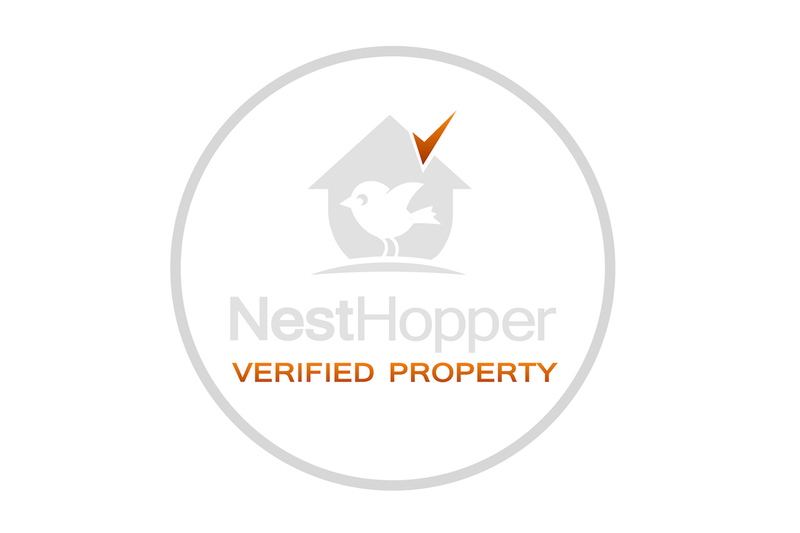 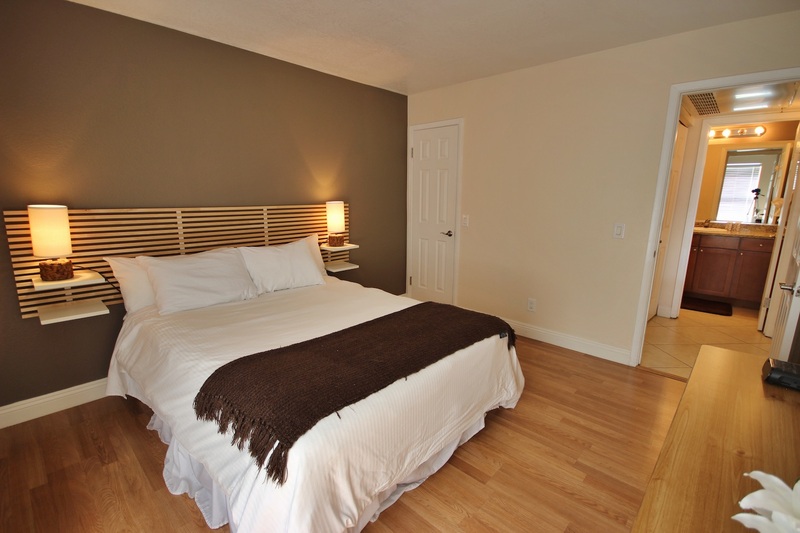 This gorgeous short-term rental in Las Vegas is fully furnished with a newly revamped interior. 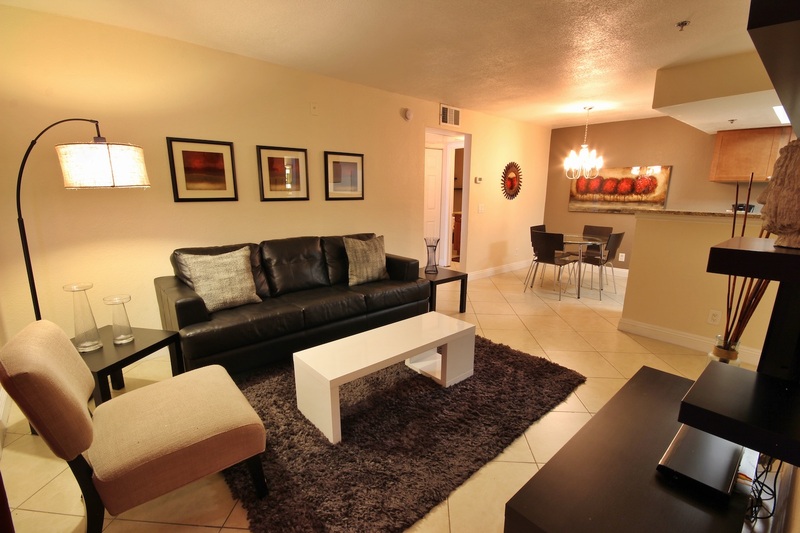 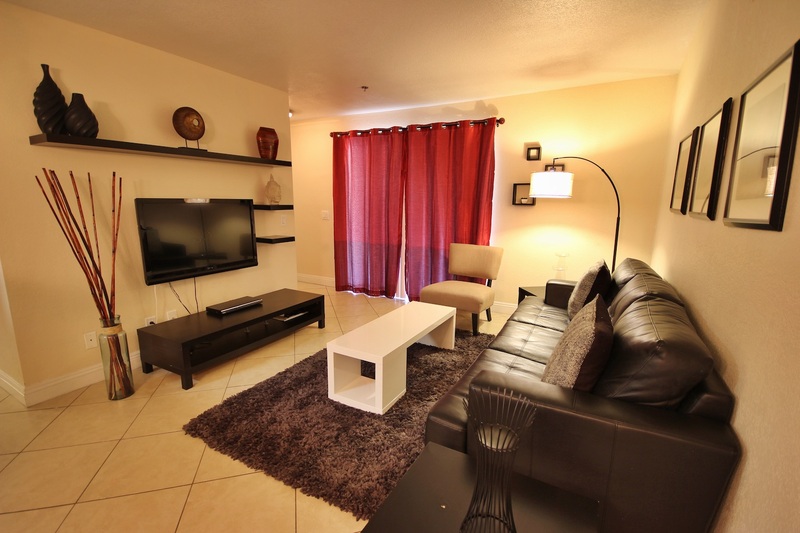 This 2-bed/2-bath is decorated with modern and cozy furniture (as seen in the picture on the left). 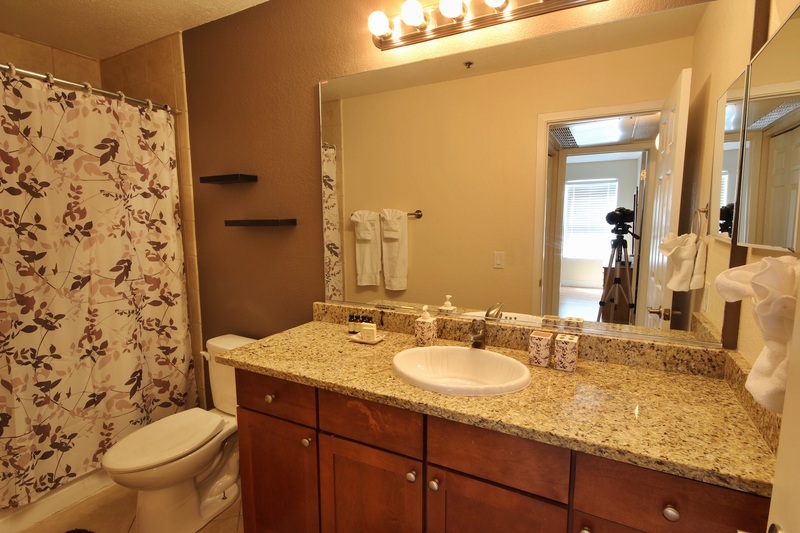 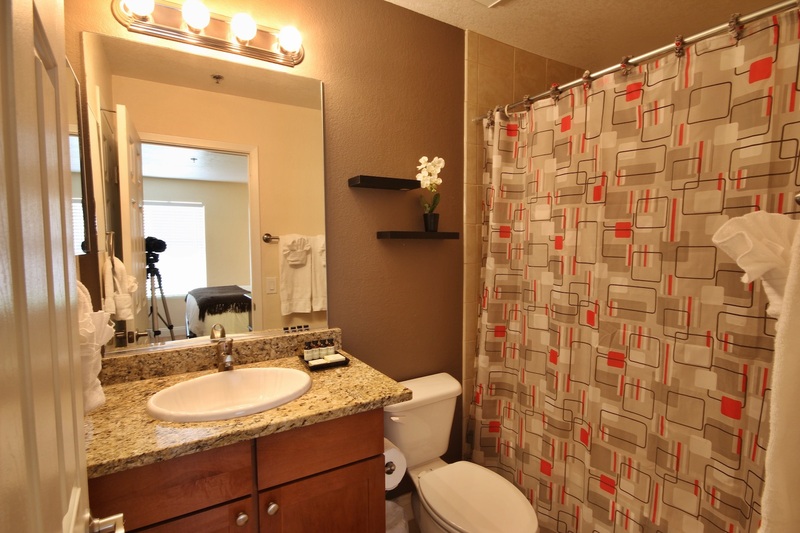 Along with tile flooring, hardwood in the bedrooms, and granite counter tops throughout; both bedrooms contain a queen size bed and there is a designated laundry area equipped with a washer and dryer. 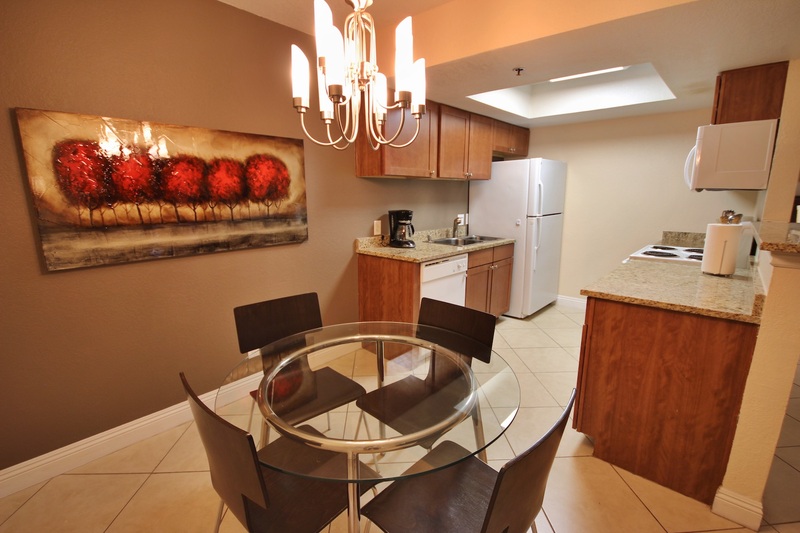 Free WIFI and cable, laundry inside, and balcony.